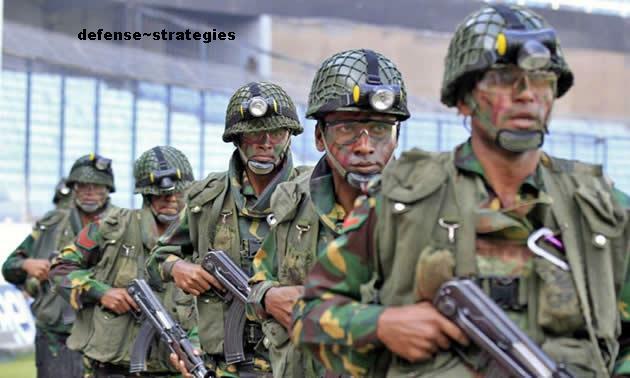 From Bangladesh perspective, critics are of the views that Bangladesh-India Relations are characterized markedly with the saying ‘Regime security gains over State security’. It started embracing phase-1 from 1972 to 1975, although father of the nation Bangabandhu Sheikh Mujibur Rahman left no stone unturned nationally, regionally and internationally to raise the head high in pride, not hung down in shame under the circumstances, approving or not. Phase-2 worked mostly being not too close to India on the one hand and on the other preferring Pakistan friendly hemisphere under ‘hide and seek’ politico-diplomatic game from the days of change-over of 15 August 1975 till the fall of HM Ershad on 06 December 1990. Phase-3 moved in a very twisted mood and mode during Begum Khaleda Zia-led governments first from 1991 to 1996 and then from 2001 to 2006 that might be laid down in history as allowing unprotected interference by Pakistan with the overall internal and external affairs and policies of Bangladesh having aphorism ‘Indo-phobic Bangladesh at the mass level and so-called India Friendly Bangladesh at the government level’. And phase-4 unfurls inclination(intentionally, recklessly or inadvertently) towards India, explainable or not, with the dictum ‘India-friendly Bangladesh both at mass and government levels’ became eye-catching under Sheikh Hasina-led administrations for the periods of 1996-2001, 2009-20014 and such trends are on more visibly and meaningfully in meticulous after elections to the 10th Parliament on 05 January 2014. This very write-up deal with the bi-lateral issues and problems absolutely related to Bangladesh and India without having any marginal multi-lateral, regional and international focus. Foreign policy of Bangladesh mostly rotates around issues and problems related to Bangladesh-India Relations because the largest part of the issues and problems, past or present, lie therein. Bangladesh is a kind of India-locked state since it is bordered by India on the three fronts and it happened due to her being prisoner of the tyranny of geography and this landscape has further been affected for its being low-lying area of all the 54 rivers flowing from India. For India, state of affairs is interestingly tricky. After the partition of British India in 1947, East Bengal, later in 1954 renamed East Pakistan, became part of free and Independent Pakistan and for which India instantly lost all free accesses and privileges to pass to north eastern zone through East Pakistan. States in this zone cover an area of 255,511sq km, or about 7 percent of India’s total area. They had a population of 44.98 million in 2011, about 3.7 percent of India’s total. Although there is great ethnic and religious diversity within the seven states, they also have similarities in political, social and economic contexts. Then as Hobson’s choice it made a route through Shilliguri in West Bengal to north-eastern zone through NAFA, later named Aurunachal Pradesh. This very corridor came to be known as Shilliguri Corridor, which is about 200 kilometers in length and 20 to 60 kilometers in width having the shape of chicken’s neck, with the countries of Nepal and Bangladesh lying on either side of the corridor. But this is not enough at all for India’s overall interests in the north-eastern zone. Therefore, India positively needs Bangladesh since it’s a broad-based strategic and commercial link between Mainland of India through Passinbangla (former West Bengal) and its northeastern zone now comprising the eight sisters having borders with Mizoram, Meghalaya, Tripura and Assam. Furthermore, developed there insurgency movements accompanied with free accesses of arms and ammunitions from outside. India faced a war with China in 1962 centering the disputed land of Aurunachal, which China claims as part of south Tibet negating the so-called McMahan Line of Simla Accord in 1913-1914. Again, the 1967 Sino-Indian skirmish, also known as the Chola incident, was a military conflict between Indian troops and members of the Chinese People’s Liberation Army who had infiltrated on 1st October, 1967 in Sikkim, then a protectorate of India. On 10 October, once again both sides had the conflict in Nathu la in Sikkim. During whole conflict Indian losses were 88 killed, and 163 wounded, while Chinese casualties were 300 killed and 450 wounded in Nathu la, and 40 in Chola. The end of the battle saw the Chinese Army leave Sikkim that subsequently joined India in 1975. Birth of Bangladesh added new optimisms and opportunities in the very minds of Indian leaders and people mainly for India’s direct standing by Bangladesh logistically, politically and militarily. Therefore, for her birth, Bangladesh, unlike Pakistan, owes to India. Having all such mathematics in right directions, Indian defense policy is now revolving around Proactive defense strategy’—a kind of polish interpretation of cold start doctrine unveiled in 2004—primarily against Pakistan extending to China in course of time, if possible. It is one step forward to Sundarji doctrine (after the name of. General Krishnaswamy Sundarji who was India’s Chief of Army staff from 1986 to 1988). Here lies the crux of all that paves the way for both India and Bangladesh so that they may think pragmatically and come closer for mutually rewarding understanding. No doubt, Hasina administrations, despite all limitations, criticisms and negative approaches leveled against her, succeeded in achieving a lot in the fields of land boundary settlement, Issues related to all modes of communications, energy, water (Teesta issue is expected to see the light in near future), border, trade and commerce and so forth. Highly alleged involvements by the Bangladesh side in according shelters, nursing and instigating insurgents in the north-eastern areas are no more heard from Indian side. A sense of cordial atmosphere and confidence-building between Bangladesh and India is now demonstratively felt and understood. For all these, yes, initiatives and implementations came, and were ensured first from Bangabandhu–ratification of the Land Boundary Agreement of 1974 by the Constitution (Third Amendment) Act of 1974, Bangladesh– and his daughter three times Prime Minister Sheikh Hasina and India began to cooperate and reciprocate afterward in a delayed mood and mode. It is Sheikh Hasina who — applying the motto of the foreign policy of Bangladesh ‘Friendship towards all, malice to none’ (art.145 of the Constitution of Bangladesh) — has set an example to show the world at large that it is also possible for her to have qualified understanding for national interests with almost all the political parties and regimes in India (One may differ otherwise having disagreeing landscapes in mind). Added attention-grabbing is that successive regimes, Congress and BJP, and political parties in India reciprocated her duly. By initiating moves to establish contacts with the leaders and political parties in the north-eastern areas and Passchimbangla, Sheikh Hasina exposed her acumen and prudence to the highest order. Continuous practice of statesmanship made her acceptable at home and abroad. Without a shade of doubt, she is now a statesman with all necessary characteristics under Bangladesh perspective and model. Once she used Joyti Bosu, then chief minister of Passchimbangla, in 1998 and anon she knocked at the doors of the chief ministers of Assam, Tripura, Mizoram and Meghalaya who visited Bangladesh as well. Her approach to play down Passchimbangla chief minister iron-lady Momata Benarjee is, if truth be told, very stimulating and appreciable on all counts. And this is the approach that is called ‘Two-India Policy’, one she is playing with India as a whole and the other she is playing with the bordering states of India as a support-base both for India and Bangladesh as it is well-understood that India is a federal state with powers and functions allocated between the federal unit and provincial units by means of federal list, state list, concurrent list and residuary powers. Accordingly, when a question of using a provincial list comes up, central government of India has to deal with it delicately and convincingly. In a federal structure it is, to speak the truth, a sort of bi-partisanship or multi-partisanship between the federal government and federating unit/units (state/province) at home before dealing an issue with a foreign state when the issue in question remains in the federating unit list or where the interest of a federating unit is virtually mixed up. It is indeed a taxing undertaking when the governments concerned are not from the same party/alliance or when more than one province gets involved. It happened in case of Ganges water sharing treaty of 1998 and implementation of the land boundary agreement of 1974 after a lapse of 41 years. Here lies the root of unavoidable appearance and involvement of provincial government(s) in the foreign policy of India. Sheikh Haina, unique it is, deserves to be congratulated for befittingly using such device in bi-lateral relations. Let India should feel at no cost to recognize such frame of mind and strength of Sheikh Hasina, who is entirely aware of India’s role in and contribution to the liberation war leading to the birth of Bangladesh. Politically and diplomatically, it is better for Bangladesh to embark upon ‘two India policy’ , one with India in general and other with bordering states in particular keeping in mind that later never has a chance to come up as an obstacle to the former in the final end. It’s very intricate and precarious initiatives that require constant alertness, viability, reliability and reality. Future regimes in Bangladesh other than the AL’s should also be careful of rewarding approach. I presume that Sheikh Hasina is at present a matured statesman and she is capable enough to handle the landscapes, present and/or future, bringing and ensuring plus points for Bangladesh while dealing with India. Here she is entitled to be named ‘Bangabandhu plus’. Credits must go to the leaders of Congress and BJP pointedly and as the top leaders both Sonia Gandhi and Norendra Modi may heave a sigh of relief from their respective standpoints. Therefore, for more, negative or positive, we have no choice but to rely on time, space and dimension with a vigilant notice to the upcoming visit of Indian Premier Norendra Modi to Bangladesh from 6-7 June 2015 at the invitation of his counterpart in Bangladesh Prime Minister Sheikh Hasina. This entry was posted in CHALLENGES, CURRENT ISSUES, DEFENCE & SECURITY, FOREIGN RELATIONS & POLICY, INTERNATIONAL - PERCEPTION ON BANGLADESH, LIBERATION - 1971 BIRTH OF A NATION, MEDIA, POLITICS - GOVERNANCE, REFLECTION - Refreshing our Memories, REGIONAL COOPERATION, Regional Policy, RELIGION & STATE, RESPONSIBLE CITIZEN & DUTY, SAARC, SOCIETY, STRATEGY & POLICY and tagged Bangladesh, Sheikh Hasina. Bookmark the permalink.